"2Cr." redirects here. For other uses, see 2CR. 1 Corinthians 5:9 ("I have written you in my letter not to associate with sexually immoral people", NIV) refers to an early letter, sometimes called the "warning letter" or the "previous letter." The Severe Letter: Paul refers to an earlier "letter of tears" in 2 Corinthians 2:3–4 and 7:8. 1 Corinthians does not match that description, so this "letter of tears" may have been written between 1 Corinthians and 2 Corinthians. 1 Corinthians 7:1 states that in that letter Paul was replying to certain questions regarding which the church had written to him. 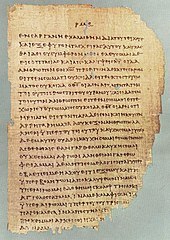 The abrupt change of tone from being previously harmonious to bitterly reproachful in 2 Corinthians 10–13 has led many to speculate that chapters 10–13 form part of the "letter of tears" which were in some way tagged on to Paul's main letter. Those who disagree with this assessment usually say that the "letter of tears" is no longer extant. Others argue that although the letter of tears is no longer extant, chapters 10-13 come from a later letter. Some scholars also find fragments of the "warning letter", or of other letters, in chapters 1–9, for instance that part of the "warning letter" is preserved in 2 Cor 6:14–7:1, but these hypotheses are less popular. 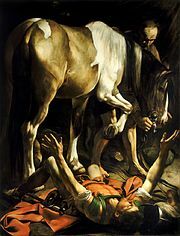 1:12 – 7:16 – Paul defends his actions and apostleship, affirming his affection for the Corinthians. 8:1 – 9:15 – Instructions for the collection for the poor in the Jerusalem church. Paul visits Corinth for the first time, spending about 18 months there (Acts 18:11). He then leaves Corinth and spends about 3 years in Ephesus (Acts 19:8, 19:10, 20:31). (Roughly from AD 53 to 57, see 1 Corinthians article). Paul writes the "warning letter" in his first year from Ephesus (1 Corinthians 5:9). Paul writes 1 Corinthians from his second year at Ephesus. Paul visits the Corinthian church a second time, as he indicated he would in 1 Corinthians 16:6. Probably during his last year in Ephesus. 2 Corinthians 2:1 calls this a "painful visit". Paul writes the "letter of tears". Paul writes 2 Corinthians, indicating his desire to visit the Corinthian church a third time (2 Cor 12:14, 2 Cor 13:1). The letter does not indicate where he is writing from, but it is usually dated after Paul left Ephesus for Macedonia (Acts 20), from either Philippi or Thessalonica in Macedonia. Paul presumably made the third visit after writing 2 Corinthians, because Acts 20:2–3 indicates he spent 3 months in Greece. In his letter to Rome, written at this time, he sent salutations from some of the principal members of the church to the Romans. In Paul's second letter to the Corinthians, he again refers to himself as an apostle of Christ Jesus by the will of God and reassures the people of Corinth that they will not have another painful visit, but what he has to say is not to cause pain but to reassure them of the love he has for them. It is shorter in length in comparison to the first and a little confusing if the reader is unaware of the social, religious, and economic situation of the community. Paul felt the situation in Corinth was still complicated and felt attacked. Some challenged his authority as an apostle, and he compares the level of difficulty to other cities he has visited who had embraced it, like the Galatians. He is criticized for the way he speaks and writes and finds it just to defend himself with some of his important teachings. He states the importance of forgiving others, and God’s new agreement that comes from the Spirit of the living God (2 Cor. 3:3), and the importance of being a person of Christ and giving generously to God’s people in Jerusalem, and ends with his own experience of how God changed his life (Sandmel, 1979). This epistle, it has been well said, shows the individuality of the apostle more than any other. "Human weakness, spiritual strength, the deepest tenderness of affection, wounded feeling, sternness, irony, rebuke, impassioned self-vindication, humility, a just self-respect, zeal for the welfare of the weak and suffering, as well as for the progress of the church of Christ and for the spiritual advancement of its members, are all displayed in turn in the course of his appeal." —Lias, Second Corinthians. ^ Harris, Murray J. (2005). The Second Epistle to the Corinthians. The New International Greek Testament Commentary. Grand Rapids, MI: Eerdmans. ISBN 978-0-8028-7126-8. ^ B. J. Oropeza, Exploring Second Corinthians: Death and Life, Hardship and Rivalry (Atlanta: SBL Press, 2016), 2-15; Victor Paul Furnish, II Corinthians (Garden City, NY: Doubleday, 1984). "Corinthians, Epistles to the" . Encyclopædia Britannica. 7 (11th ed.). 1911. pp. 150–154. This page was last edited on 12 April 2019, at 00:34 (UTC).